MR. KIMBER, who is a native of Farnham, Dorset, came to Bristol many years ago. 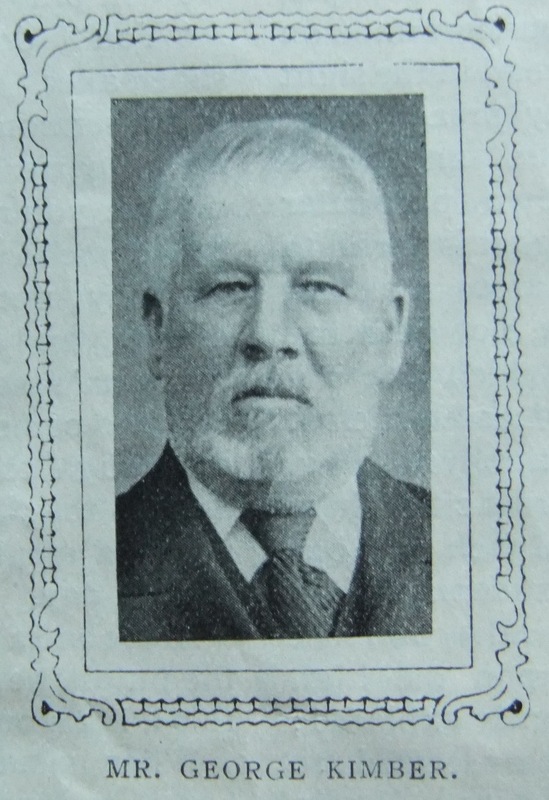 When our Eastville Church was opened he and his wife joined the Society, greatly to its advantage. For over thirty years they have been hard-working members. He has now attained the ripe age of sixty-seven years, and is retiring from official life with well-deserved honour. He has verily borne the burden and heat of the day, sharing the responsibilities of strenuous struggle with such courage and self-sacrifice as have earned for him the rest of his remaining years. Sincerely do we wish for him a quiet eventide, full of brightness and peace. He has been much helped and cheered by his devoted wife, who has laboured without stint in the reduction of the huge debt on the property, now growing lighter year by year. As a collector of funds and member of the Refreshment Committee for our Annual Bazaar she will ever be gratefully remembered. “Many daughters have done virtuously, but thou excellest them all.” Peace be to the pair. George was born in 1843 at Farnham, Dorset, to parents Edmund and Hannah. Edmund was a sawyer. George earned his living as a stonemason/bricklayer. George married Emma Beling (1842-1922) on 10 November 1873 at Broad Chalke, Wiltshire. George died on 27 January 1922 at Bristol, Gloucestershire.